China Broadcasting Network is set to be the country’s fourth telecom operator. The company is closely related to the State Administration of Press, Publication, Radio, Film and Television. The company received the license to run basic telecommunications business from the Ministry of Industry and Information Technology Tuesday. 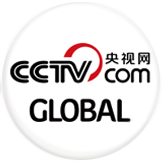 China Broadcasting Network follows China Mobile, China Unicom and China Telecom. Last year, the three existing telecom giants raked in 132 billion yuan in revenue. Together they also cover more than 1.2 billion users. China Broadcasting Network is expected to work on the integration of telecommunication, Internet and broadcasting networks, known as the tri-net, and use it as a stepping stone to a larger market share.